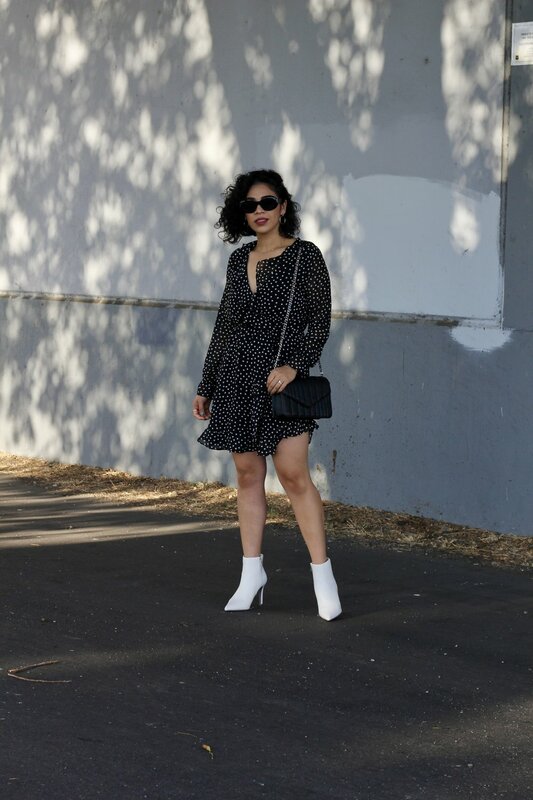 I would've never imagined white boots being so chic and versatile! These babies are fairly new to my closet, and I couldn't be any more happy! During the last Fashion Month (September), I spotted them everywhere! - white booties here, white boots there. It was an instant love at first sight. I immediately collected inspo of all he outfits I could rock with white boots and decided to give it a try. Since it's a new trend I wanted to try out I decided to not invest too much money on a pair. I picked these up at Forever 21, for less than $30 bucks! Yasssss baby! I've listed some white booties that I think are super cute & worth checking out!